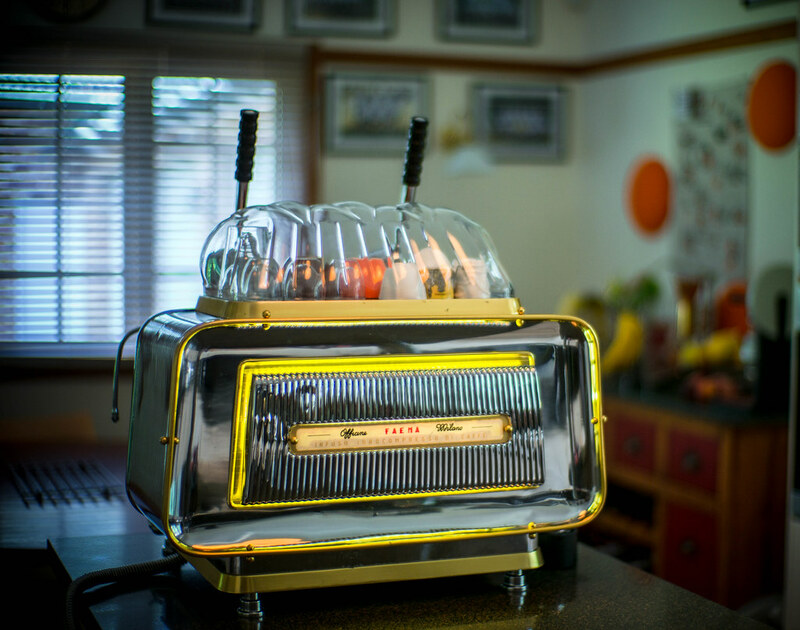 There's a few really nice vintage machines available on Trade Me here in New Zealand at the moment. I won't link to any live auctions as that's against the rules, but they're not hard to find for anyone that's interested. However I thought I'd add some pics for those of you like me who can only stare and dream. There's a 2 group Bo-Ema lever from 1964 (not currently listed), a 2 group Faema E61 and two single group Faema lever machines from the '60s. All fully restored and looking stunning. pyrmontboy200, summercrema, shortblackman and 1 others like this. I went to motorclassica last weekend and was pleasantly surprised to see a vintage coffee machine display. It had machines all from 60's and earlier I think. brettreaby, shortblackman and Stoffy like this. And some more pics. Unfortunately most were displayed so you couldn't see the group head side. Oops keep hitting submit before attaching all pics I wanted to attach. pyrmontboy200, shortblackman and Stoffy like this. Best to let folks know they maybe in for import duty, GST etc when bringing in from NZ. 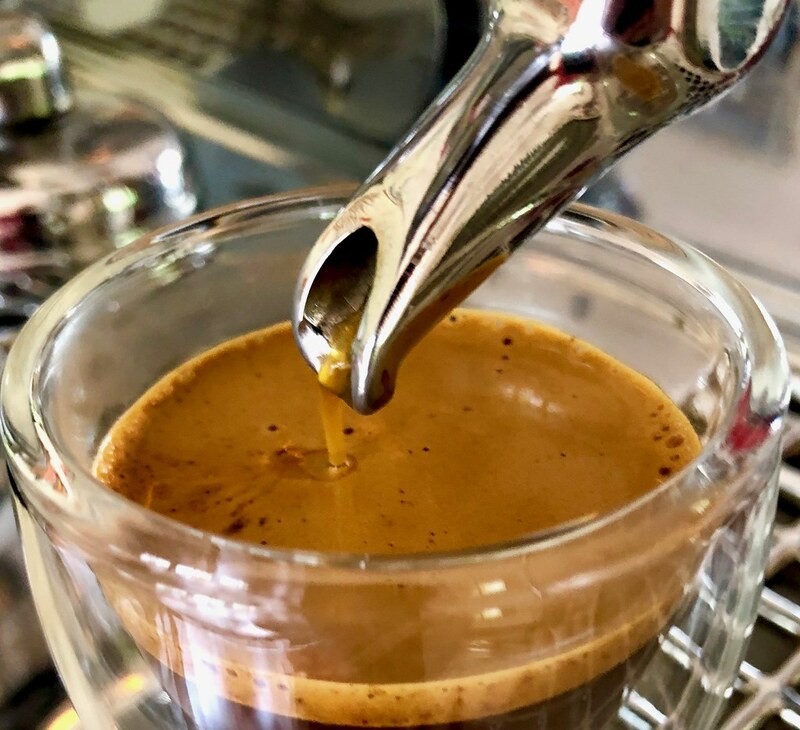 Motorclassica is always great for looking at some beautiful cars and bikes, plus this year the added bonus of beautiful classic coffee machines! Wow there were some beauties there! These are like looking at those beautiful cars from the fifties and sixties,lovely curves and plenty of chrome. 2. Could I run it off a tank, rather than mains pressure, and if yes then how? 3. This one has always been on electric, do they run ok on gas? 4. Any questions I should have? I know it is silly. 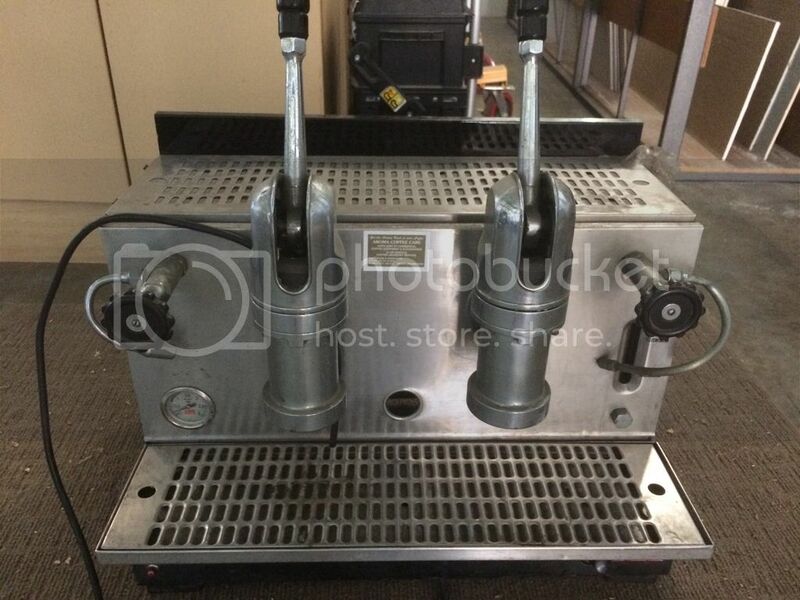 Hi colombiasmoothbean , the Gaggia lever machines turn up fairly regularly in Australia on "online auction sites" , and I paid less than that for my 3 group lever .Having said that , the 3 group it madness - it's VERY heavy , but parts and expertise are available to recondition them , and a mains powered "flojet" pump will happily run them from the standard 35 ? litre water cooler bottle .There are vintage lever machines running on gas , and Gicar build a standard gas regulator that's used in new commercial models .Now if someone said there's a special single group sitting in a barn of garage somewhere , you never know. It really is a case of do a lot of homework , it may save you some grief in the long run. Been far too long between short blacks, but i thought my latest find may spark some interes, Just aquired this week is this La Cimbali Brilliante, been looking for a two group version of this for quite some time and finally found this last week, thoughts?? The head of an escaped robot from the 1950's? How's the reception? Nice piece of 50s retrofuturism. La Cimbali Brilliante, been looking for a two group version of this for quite some time and finally found this last week, thoughts?? I thought you might like the attached photo. This was displayed at Mumac 3 years ago. Dimal, flynnaus, Paolo and 1 others like this. My Gaggia Milano Robecco. Italy Export. Love that orange colour! Not sure of the exact year but probs 70s. Anyone else seen anything similar? Magic_Matt and JMcCee like this. Wow, very nice, the orange with the copper cups makes a very nice visual. How are the shots coming out of it? Anyone else seen anything similar? 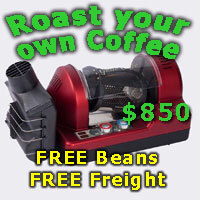 That's a Gaggia Tell. It is a '70s one, probably amongst the last and a very handsome machine. Love the orange. I have nearly completed restoration of a red and black two group Tell. Magic_Matt and kjbeans like this. Have you pulled any shots from it? How did they turn out? I'm having a bit of trouble with mine. Not sure if this counts as an "extreme" machine, but it takes up a healthy amount of bench space. It's obviously a Rancilio of some kind. I've seen similar looking ones called a Serie GM, m-jet, classe 6. Not sure what it actually is. 2.4kW element so happily running on a 10A outlet, and leva so no pump required. It's as reliable as a hammer though I've replaced the group seal and the anti-vac and safety valve anyway. Otherwise original so far as I can tell. Originally sold by Mocopan in Preston. Nearly there! After ten years of life getting in the way we decided this old girl deserves to be finally brought back to life. Just wiring, some knobs and stuff and some trim fixings and the DE will have some (more) competition..
herzog, kofekitt, samuellaw178 and 1 others like this. Dr_Dave, herzog, Beanz. and 5 others like this. Some eye candy right there! That shroud looks like new. Can you still buy them? 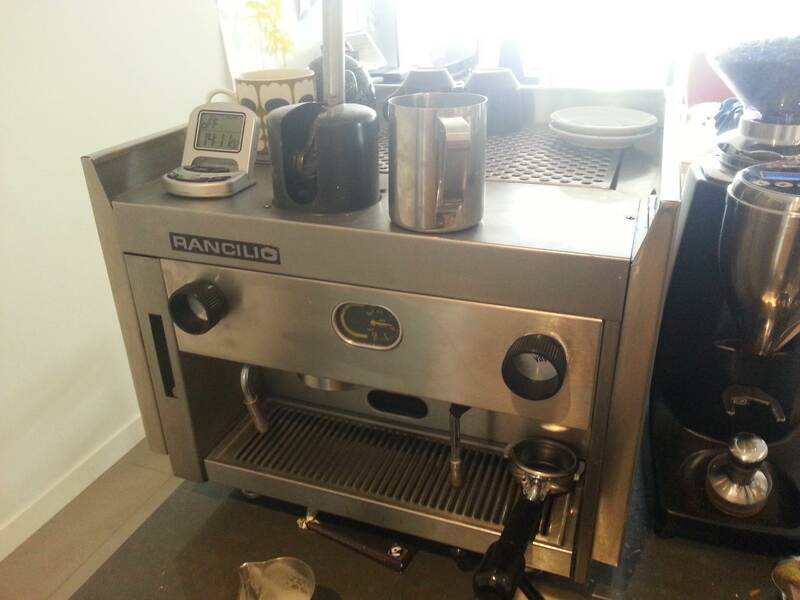 @furrybarry did you purchase your Rancilio as a 10amp?? I have a z9 2 group that I want to sell but not sure if I should conver to a 10amp to appeal to more than light commercial buyers. Currently 20 amp which basically means it needs to be hard wired for use. Can convert to 15amp quite easily but I’m wondering if it could run on 10. Any ideas?? I'm no expert but it seems a bit excessive for a two group lever to be running on 20 amp even a Z9 with a single 3000 watt element. My two group Tell is 15 with two 1250 watt elements. I wouldn't knock it down to 10 amp or you'll be waiting all day for a coffee. On 230 volts I'd say 15 amp would make it work okay. But what do I know? I can't imagine anyone buying a 2 group commercial and not expecting it to need at least 15A. Youre right about 20A being a pain, you can get 20A outlets that look similar to the 15A but have longer top pins, however as an electrician I would thoroughly recommend never installing or using them for something that actually chews 20A. The way the pins and the socket connect is supposedly rated at 20A but they will fail and melt and require replacement 6-12 monthly in some cases. 15A is as reliable as 10A. I'd say convert your machine to 15A to sell, it's a common plug that's likely to already have outlets in some locations. Sorry everyone I can’t seem to add photos but will try again. Late 50’s or 60’s Gaggia Americana, needs a lot of work, ‘gunna’ get round to it one day! Had it for 20 years... can’t get the pA5C8EA33-DFE3-4831-BAC2-6B0ABBFB3AF9.jpgA5C8EA33-DFE3-4831-BAC2-6B0ABBFB3AF9.jpghoto to be rich side up now!! I had a laugh 😂. Yes it would but how unusual is mine! You use the body to pull a coffee!! Currently 20 amp which basically means it needs to be hard wired for use. Can convert to 15amp quite easily but I’m wondering if it could run on 10. Any ideas?? Is this a matter of changing the logic for the element controls or are you intending fitting lower power elements? Vintage Espresso machines. Worth the effort?